The base was named best rookie in March-April. Only nine other players in history have achieved it. Brings Young, chosen in the East. Luka Doncic has closed his first season in the NBA as he started it: has been named the best rookie of the month in the Western Conference when averaging in March-April 22.3 points, 9.9 rebounds and 7 assists in the 15 matches played . In the East, the award went to the Atlanta Hawks Trae Young base. 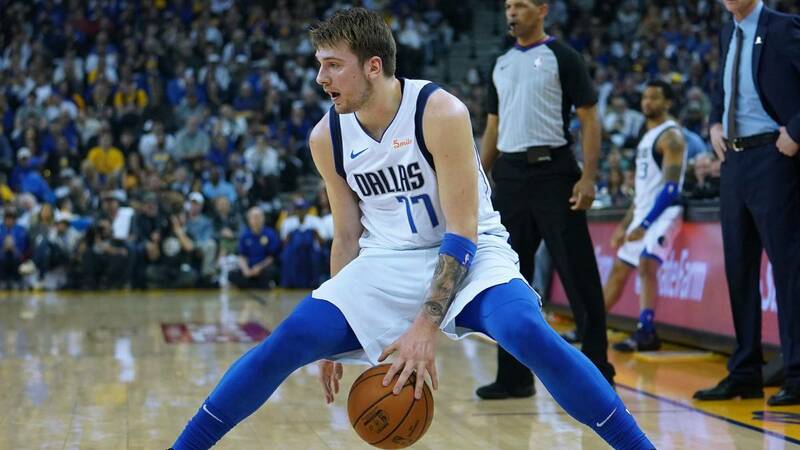 The Dallas Mavericks Slovenian has made full, winning the five best rookie of the month possible in his Conference, a milestone that only nine other players had achieved before him throughout the history of the NBA. Ralph Sampson with Houston Rockets (1983-84) . David Robinson with San Antonio Spurs (1989-90) . Tim Duncan with San Antonio Spurs (1997-98) . LeBron James with Cleveland Cavaliers (2003-04) . Carmelo Anthony with Denver Nuggets (2003-04) . Chris Paul with New Orleans Hornets (2005-06) . Blake Griffin with Los Angeles Clippers (2010-11) . Damian Lillard with Portland Trail Blazers (2012-13) . Karl-Anthony Towns with Minnesota Timberwolves (2015-16). Doncic, who will not play the next Summer League in Las Vegas, is the main candidate to take the ROY (best rookie award of the season) with a scandal stockings: 21.2 points, 7.8 rebounds and 6.0 assists in 32.2 minutes. In addition, he has added eight triple-doubles in 72 games: only Oscar Robertson (26) and Ben Simmons (12) were the only ones to do more in his first year in the NBA. The Slovenian also achieved other precocious marks, as doing 4 of those 8 encounters before the 20 years (second adolescent in doing one and only in making more than one) or in being the youngest in doing one with 35 points.